Hilversum, 13 March 2018As from April 2nd, Ralf van Vegten, CIO at NEP The Netherlands, will be Managing Director of NEP The Netherlands. 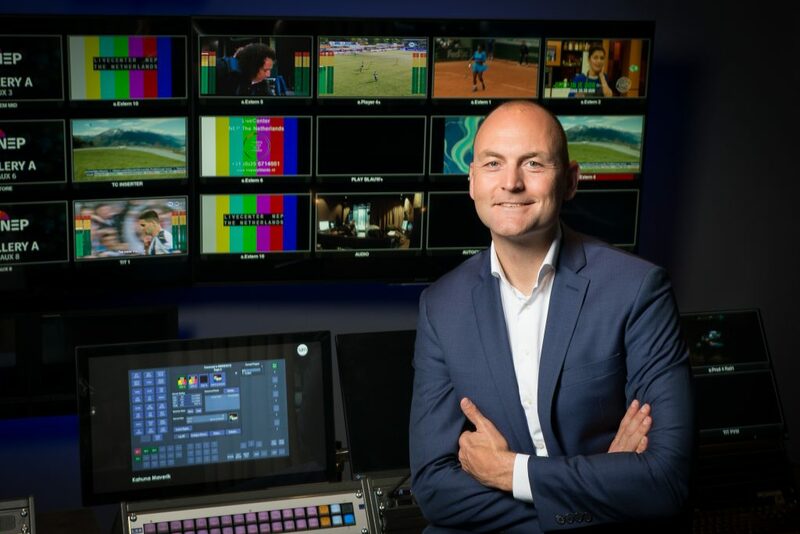 During the past five years, Van Vegten was already closely involved with the company and responsible for the Broadcast IT and Graphics departments as a board member (CIO). Ralf will take over the role of Michiel van Duijvendijk, who is one of the founders of NEP The Netherlands (former DutchView Infostrada). Van Duijvendijk will be involved with NEP until August 1st. As CIO of NEP The Netherlands Van Vegten supervised its transformation from a traditional broadcast organization to an IT company. Where the IT department was previously focused on post production and online platforms, it now controls the entire glass to glass content chain; from camera lens to living room and all technology in between, making it possible to create linear and online television. From Monday April 2nd Van Vegten’s position as CIO will be taken over by Jildert de Groot, who is and will stay responsible for the Development and Project Office departments.